A Market Appraisal will base the value of your apartment on what has sold in your building. It is important to bear in mind that even in the same building all apartments may not be the same value. 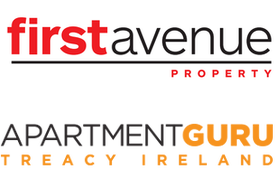 Our professional expertise at First Avenue Property will be utilised to establish a price range that the apartment should achieve after taking all these factors into careful consideration . ​Will the tenants be disturbed during the appraisal process? I will visit your apartment with my principal Melissa Benge or another salesperson, to gain an accurate assessment of your apartment. We are experts at keeping the tenants at ease, with minimal disruption. However, occasionally an appraisal can be completed without viewing your apartment and disturbing your tenants. Do I need to contact my Body Corporate and/or Property Manager? ​Yes absolutely, but I can do this for you. If the apartment owner gives me approval to do so, I am authorised to speak to the Body Corporate on your behalf. It helps the selling process to keep the appropriate person at the Body Corporate or Property Manager consulted and up to date with what is happening. This also reduces the stress involved with the sale. ​What about the tenants, will they move out? I'll meet with the tenants before bringing the apartment to market. Tenants appreciate being kept in the loop and having their queries and concerns addressed. Open homes and buyer appointments are much easier to manage with agreed days and times for the tenants. It's all about communication and having a no surprises approach, it reduces the tenant's stress and uncertainty. Looking after and being considerate to the tenants is paramount to a successful sale. Can you do open homes for apartments? ​Yes, open homes are an important part of the marketing strategy when selling your apartment. It gets eyes on your apartment and gives all potential buyers an opportunity to view the apartment in a relaxed manner, without the need to book a showing. They also allow for the buyer’s family to pop along to the open home, if they are available during the weekend. If the property is tenanted, the same time can be booked for every weekend so the tenants can plan for the open homes. What are the types of apartments? ​This depends on the Body Corporate Rules, usually pets are not approved by the Body Corporate Committee. If this is of importance to you, then please bring it to my attention so that we only consider suitable apartments and townhouses. ​Will I get a carpark with my apartment? ​This depends on the apartment complex. Some apartments may come with one or more (sometimes in tandem configuration) car park/s. Car parks are sometimes available for separate purchase in some buildings, and some apartment buildings have car parks to lease. I will be able to advise on availability in and around most apartments. ​Why stage my apartment when selling? Staging your apartment can ensure the positive features always shine through. Even if your place is short on floor area, as many apartments are, the home staging experts I employ can make it feel spacious and contemporary. You can expect great photography and increased buyer interest. Your apartment will stand out online, which is where most potential buyers will first see it. If your apartment is currently vacant, home staging will bring it to life. A styled space always looks better than an empty room, especially when photographed. The apartment styling process de-clutters your apartment, makes its look bigger and gives a sense of how a potential buyer could live there. Apartment staging will help to accentuate positive attributes, such as a great view, a spacious kitchen or great flow. Our stylists draw on leading interior design fashion to make your apartment look amazing. .​The stylists will know how to choose and position furniture to maximise floor space in an apartment. They have some professional tricks up their sleeve to make a great first impression. When a potential buyer walks into your apartment, you want their eyes to open wide with surprise and delight. ​Why is great photography important? ​The photographs of your apartment are the flagship of your marketing campaign. Beautiful photography showcases your apartment at its very best, generating interest and attracting prospective buyers to viewings. The aim is to stand out from the other listings on the Internet and print media. You only have 7 seconds before a buyer will swipe their mobile phone onto the next apartment. You must stand out. ​What is a Body Corporate and what do they do? ​A body corporate is made up of all the unit owners, within a unit title development. Unit titles are a common form of ownership of a multi-unit complex and can include properties like apartments, townhouses, car parks, industrial units, and commercial offices. If you are the owner of a unit, you'll be a member of your body corporate, as will your fellow unit owners. ​Because the ownership structure is different to that of more traditional house and land setups, the rights and responsibilities also differ. Decisions about certain aspects of the units and common property are made by the owners, who work as a collective. Every unit title development has a body corporate, which is setup when the development is being constructed. This is required before the titles can be issued. The Body Corporate is a legal entity and is bound by the Unit Titles Act 2010 (the Act). ​The Body Corporate is responsible for a variety of financial, management and administrative tasks. ​What are Body Corporate Rules and Reports? Body Corporate are the rules that the apartment complex are used to operate on. All unit owners, occupiers, tenants and the body corporate must follow the body corporate operational rules that apply to their development. The body corporate operational rules help the body corporate govern the unit title development. All unit owners, occupiers, tenants and the body corporate must follow the body corporate operational rules that apply to their development. Default operational rules are set out in Schedule 1 of the Unit Titles Regulations 2011 . The default body corporate operational rules apply to all unit title developments, however subject to section 106 of the Unit Titles Act 2010 bodies corporate are able to revoke, amend or add to the default rules. A body corporate holds meetings to discuss and make decisions about matters affecting the unit title development, such as levies, insurance and repairs. The body corporate holds meetings at least annually. These meetings are an opportunity for unit owners to exercise their collective property rights. The body corporate discuss issues of joint concern and unit owners vote on a range of matters affecting the development. Meetings of the body corporate are either annual general meetings or extraordinary general meetings. An Extraordinary General Meeting can be held at any time throughout the year to consider any matter relating to the unit title development. For example, the body corporate chairperson or committee might need to get agreement from the body corporate to undertake repairs. ​What happens at the Body Corporate Annual General Meetings? An Annual General Meeting must be held once every calendar year, and not later than 15 months after the previous AGM. The chairperson must call the AGM in accordance with the regulations. The very first AGM of a new unit development must be held as soon as practicable but within 6 months of the earlier of the date of deposit of the unit plan or the date of settlement of the first sale of a unit. ​How do Resolutions work at these meetings? There are three types of disclosure statements to provide potential unit title buyers with access to information to help make their decision and should be drafted by the Body Corporate Secretary. Buying into a unit title development is different to buying a stand-alone house. As a unit owner you have different rights and responsibilities and there is some shared property you have an interest in. The Unit Titles Act 2010 sets out important rules about the disclosure of information between buyers and sellers of a unit in a development. It is important that those intending to purchase a unit understand their rights to request information from the seller and how this may affect a sale and purchase agreement. This page outlines some of the additional requirements that should be considered when purchasing a unit in a unit title development (as set out in the Unit Titles Act 2010 and Unit Title Regulations 2011). This is not intended as an exhaustive guide and does not cover many of the other important factors which are relevant to any decision to purchase property. additional disclosure statement, which the buyer may request some or all of the information a seller is required to provide. This is prepared by the Body Corporate at the seller's cost. The purpose of the three types of disclosure statements is to provide potential buyers of unit title properties access to information that can help inform their decision. Disclosure statements enable buyers to be sure of such things as their rights and responsibilities, the function of the body corporate, who is responsible for running the development and how well the development is doing financially. At any stage before or after entering into a sale and purchase agreement the potential buyer can also request the seller give them an additional disclosure statement. The purpose of the additional disclosure statement is to make Body Corporate records on maintenance, finances, insurance, contracting and governance accessible to potential buyers. Because this information may affect your decision to buy the unit, you should consider asking for additional disclosure before signing a sale and purchase agreement. A buyer can choose to receive only some of the prescribed information a seller is required to provide in an additional disclosure statement. the tenth working day before the settlement date. If a buyer makes a request, the seller must provide the additional disclosure statement to the buyer within 5 working days of receiving the request. The buyer must pay to the seller all reasonable costs incurred by the seller in providing the additional disclosure statement, but the non-payment of these costs does not justify the seller withholding disclosure. The estimated cost of the additional disclosure statement will be noted on the pre-contract disclosure statement.